Vessel Comet 31 S named Michou was produced in 2012. We offer her from marina Lindigo in the region: Stockholm. Michou is certified for 6 passengers. Layout of the yacht is 6 4+2. Comet 31 S Michou is equipped with 2 bedrooms. For comfort of passengers there are 1 heads with showers. You can fill the diesel tank with 70.00 l l. and in tank for water it goes even 130.00 l liters. With engine 15 Michou can navigate really fast. Michou is 9.74 meters long and 3.48 m wide. Depth is 1.90 meters. 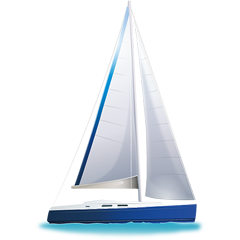 Analyze more boats under this link: Yacht charter Lindigo. Nonrefundable caution has value 1100.00 EUR. Choose our offer and have fun on the deck of Michou. This Comet 31 S from Lindigo from Sweden See by navigating to the section Yacht charter Sweden.